It's all snow in Nashville! Neil and I took these photos Monday morning and it feels like it hasn't stopped snowing since. 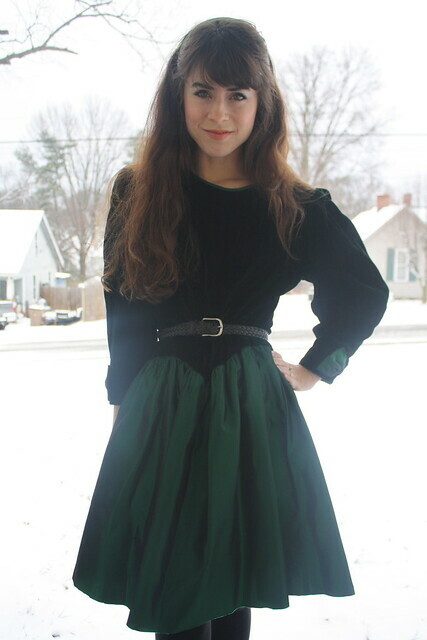 This lovely emerald dress was a thrift store find from the weekend. 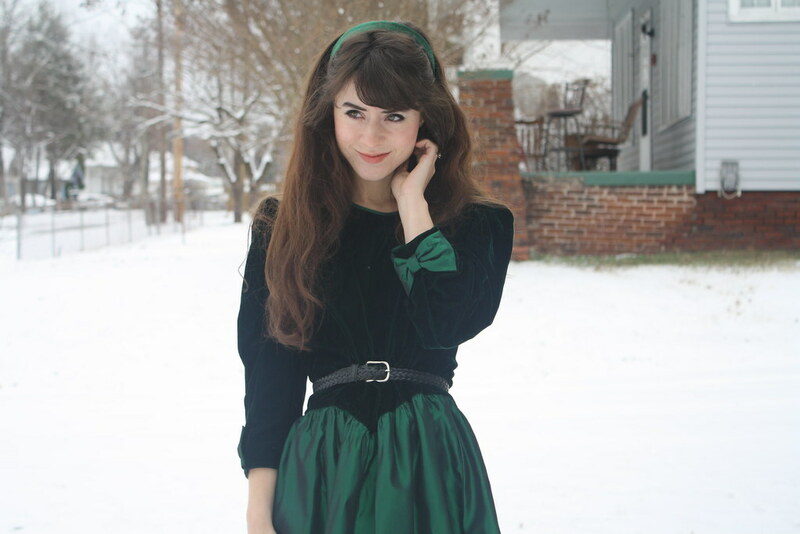 Taffeta and velvet belong with the snow. And I hear 49 states in the US have snow today, too? Happy snow day! I'm going to celebrate by thrifting and drinking coffee.